Janet has worked as part of our reception team for four years now and relishes the opportunity to meet new people and welcome our new patients to the Practice. 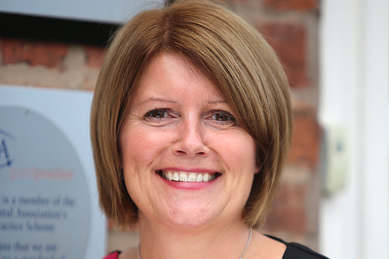 Janet has two boys who both attend Lymm High School and when not behind our reception desk loves to keep super fit by walking the roads, paths and trails of Lymm- don’t even try to keep up with her! She recently renewed her wedding vows in Barbados. Favourite Holiday: Barbados where she got married (and remarried).